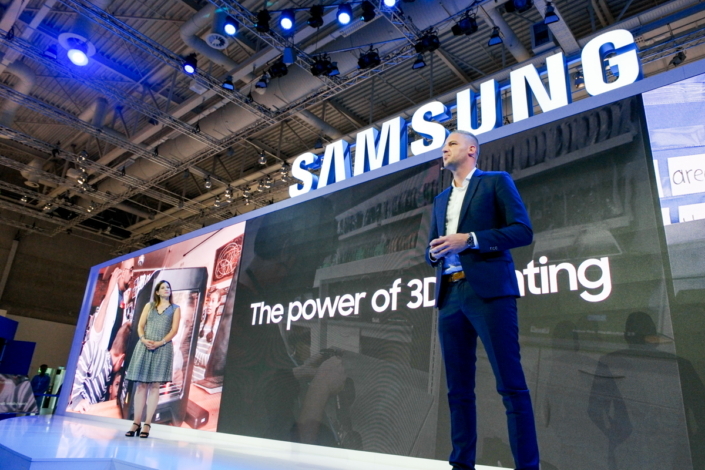 Samsung Electronics Europe today announces that it is joining forces with MakerBot, a global leader in the desktop 3D printing industry, to inspire the next generation of innovators by bringing 3D printers to classrooms across Europe. Samsung and MakerBot are equipping schools, colleges and museums with 3D printers as part of Samsung’s digital skills programme so that students at any grade level can both code and create. The planned first phase launches in Germany, Italy, Spain, UK and Sweden this year and builds on Samsung’s network of 1,300 Smart Classrooms and 65 Digital Academies. The vision behind the partnership is to combine design and coding classes with 3D printing so students can experience the full design cycle as a way to develop ideas and innovate. With MakerBot, educators and students have access to a full set of solutions and services that enables them to tackle real-world problems. “In response to the alarming skills gap and high levels of youth unemployment in 2013, we backed the European Commission’s Grand Coalition for Digital Jobs with a pledge to engage 400,000 young people across Europe by 2019. 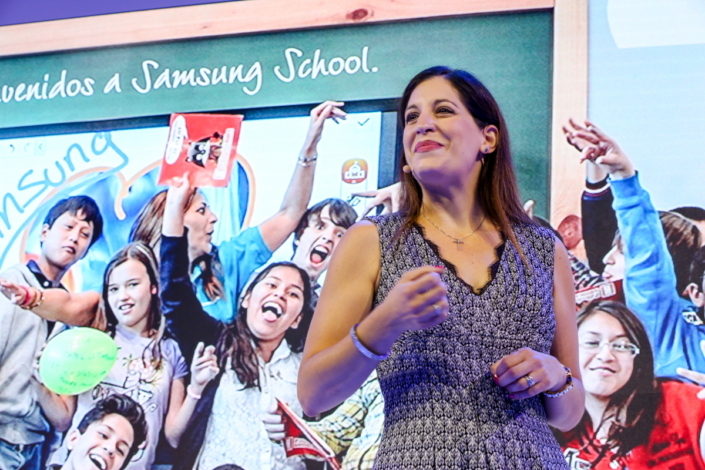 We will achieve our goal 3 years early so we can now invest further in educating thousands of young people in the latest digital skills.” says Evelyn Nicola, Sustainability & Citizenship Manager, Samsung Europe. Firstly, Smart Classrooms create new learning opportunities for 6 – 16 year olds. Since 2013, over 1,300 Smart Classrooms have opened across 20 countries in Europe. Samsung not only provide technology, but also offer educational content and teach digital skills, such as coding to students and teachers. The second programme, Digital Academies is Samsung’s targeted contribution to tackling the digital skills gap. There are over 65 across Europe. In these learning centres, 16 – 24 year olds can access smart technology, ICT training and employability programmes to help their transition from education to employment. MakerBot, a subsidiary of Stratasys Ltd. (Nasdaq: SSYS), believes there’s an innovator in everyone, and sets the standard in reliability and ease of use. As a global leader in the desktop 3D printing industry, MakerBot offers a set of solutions that illuminate and guide every stage of the 3D printing process, making it easy to go from idea to end result. Founded in 2009, MakerBot has one of the largest installed bases in the industry with more than 100,000 MakerBot Desktop 3D Printers sold to date. MakerBot also runs Thingiverse, the largest 3D printing community in the world. The company’s industry-leading customers include designers, educators, engineers, and consumers. To learn more about MakerBot, visit makerbot.com.